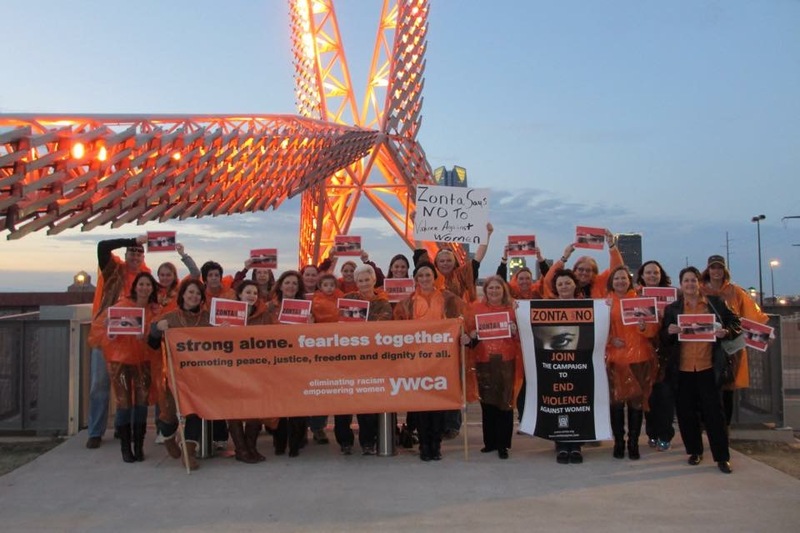 On 8 March, the Zonta Club of Central Oklahoma, USA, in partnership with YWCA’s sexual assault nurse examiners, Beautiful Dreams Society, and other local women’s programs, held a rally at the SkyDance Bridge in Oklahoma City to say NO to violence against women. Oklahoma ranks third in the nation for the number of women killed by domestic violence. Members sent a message of unity to raise awareness of and increase actions to end violence against women and girls. All participants were encouraged to wear orange in support of the event and the SkyDance Bridge was lit in orange lights for the cause.